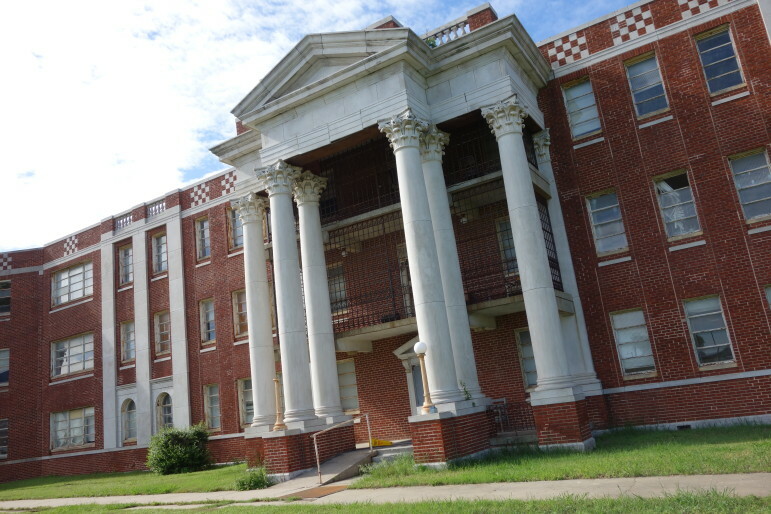 Griffin Memorial Hospital, one of the state’s largest and oldest mental institutions, could be sold, along with surrounding land, to pay for a new hospital, according to state officials. A proposal to move one of the state’s largest mental hospitals off property in Norman depends on whether money from land sales would pay for a new facility, state officials said. The city of Norman and the Oklahoma Department of Mental Health and Substance Abuse Services are in talks about selling department-owned land surrounding Griffin Memorial Hospital in the city. On May 1, an advisory group hired by the city, the Urban Land Institute, presented its findings on developing the area around Griffin Memorial Hospital in east Norman and recommended moving the hospital to land owned by the Department of Mental Health east of the hospital. Griffin Memorial Hospital, which holds up to to 120 people with mental illness, is one of the few remaining state-run mental institutions and the largest one not dedicated to those in the criminal justice system. The city hopes to use the property as part of its Norman Forward plan, which calls for new development and improvement of existing development in the city. The Department of Mental Health would use funds generated from the land sale for infrastructure improvements, Mental Health Commissioner Terri White told the Board of Mental Health. Durand Crosby, chief operating officer of the department, said the decision about whether the hospital will be moved largely depends on whether money generated from the sale of land would be enough to pay for a new facility. Many of the buildings at the Griffin site have been empty for some time. The Mental Health Department does not have money to make improvements or to raze the buildings, Crosby said. “We would like to obtain some capital to build new buildings or renovate the buildings we currently have, and also to remove buildings that are unnecessary,” Crosby said. “Our concern, of course, is that we would need a new building” if the facility were to move. The next step, Crosby said, is for the city to identify possible funding sources for the land purchase. Also the department needs to prepare an agreement that lays out each parties’ responsibilities moving forward. With the institute’s report presented, the ball is in the Mental Health Department’s court, which must decide whether it wants to sell the land, said Susan Connors, director of planning and community development for Norman. “The state needs to make the next move. The recommendation was the hospital facility should move east, near the veterans center, because the state also owns land there,” said Connors. The next meeting of the Mental Health Department’s Real Property Trust is scheduled for Nov. 20, though a special meeting could be called before then. The city is considering setting aside $5 million from Norman Forward funds that would serve as a “placeholder/down payment” to cover part of the acquisition from the state, according to a presentation during an April 9 City Council session studying the issue. The Department of Mental Health has been looking at selling land since at least 2013, according to the trust’s meeting minutes from November 2013. Department of Mental Health Commissioner Terri White told the trust that she met with Norman Mayor Cindy Rosenthal and state Rep. Scott Martin, R-Norman, about the best long-term use of the property, the minutes state. In 2014, Martin, who co-chaired a Norman community coalition with Rosenthal that was responsible for drafting the city’s redevelopment goals, introduced a bill that allows the department’s property trust to sell, but only in Cleveland County. Any money from a property sale would be required to go toward infrastructure improvements. Money from the federal government into the state to aid Moore’s tornado recovery has slowed substantially.